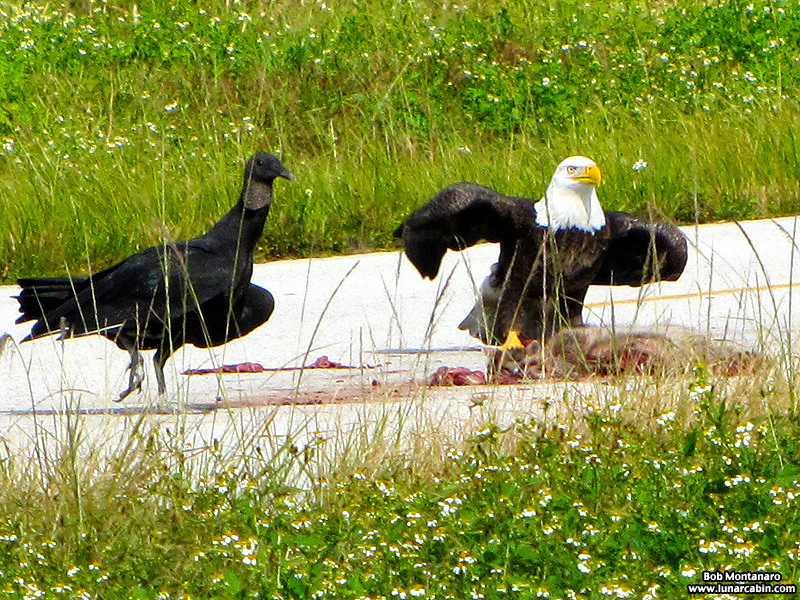 There was a little competition this morning between a Bald Eagle and a group of Black Vultures over some fresh roadkill. 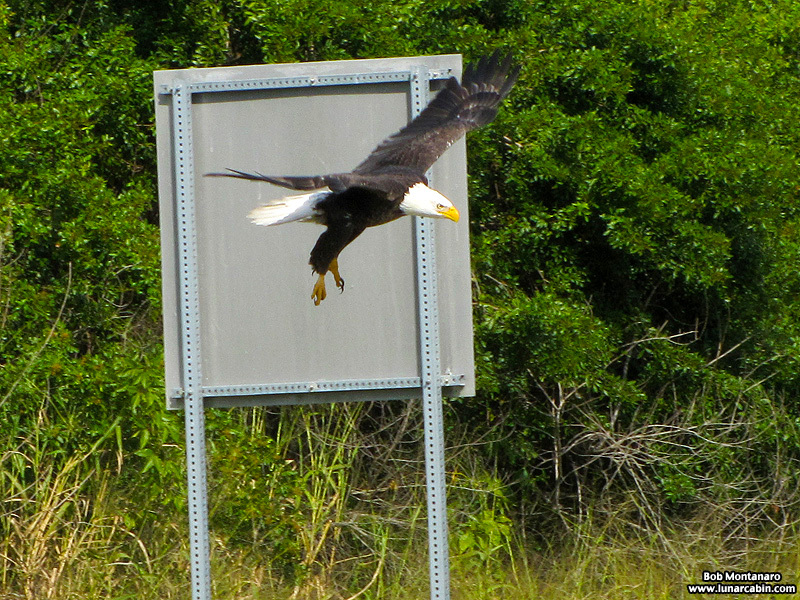 The Vultures were wary of the Eagle but none of them could do anything about the frequent traffic that eventually drove the Eagle away in frustration over not being able to scavenge the carcass in relative peace. This was one of those situations were I only had my pocket camera to record the action but it did an okay job considering.